Plant tissues. Aquiferous parenchyma. Atlas of plant and animal tissues. 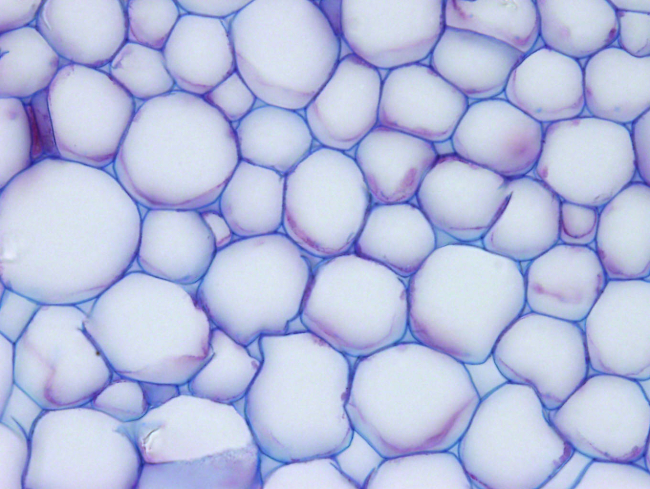 Technique: 8 µm thick section stained with Alcian blue / safranin. In this figure of a cactus, a xerophyte, parenchyma cells containing mostly water are observed in a section of the plant stem. They have thin primary cell walls and mucilage in the cytoplasm, stained with safranin. Intercellular spaces are also observed.